Heartstone Center for Earth Essentials was founded by Tammi Sweet and Kris Miller to provide learning and healing to remember what is in our bones… To rekindle and nourish our essential human natures as bright and creative spirits with great capacities for aliveness and compassion, intimately connected and interdependent with all life on the Earth. Click here to read more about the mission. Kris received her formal training in Clinical Psychology and is a licensed massage therapist and certified practitioner of Hakomi Body-Centered Psychotherapy. 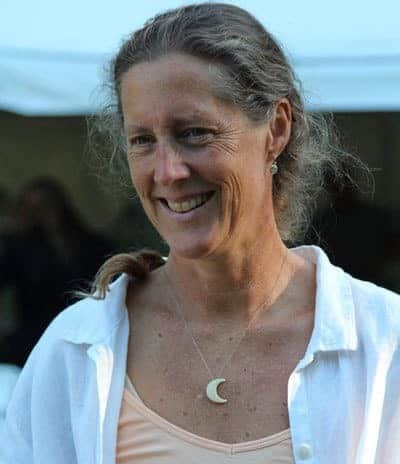 In private practice as a counselor for over 35 years in Ithaca, NY, she has been influenced by a variety of clinical modalities & orientations as well as the diverse life experiences of her clients. As a result, she offers a rich variety of resources to her clients. Kris' philosophy is holistic & transpersonal & integrates the principles of Buddhist mindfulness & eco-psychology. She has a special interest in nourishing aliveness and health in our social identities, relationships, groups & organizations. 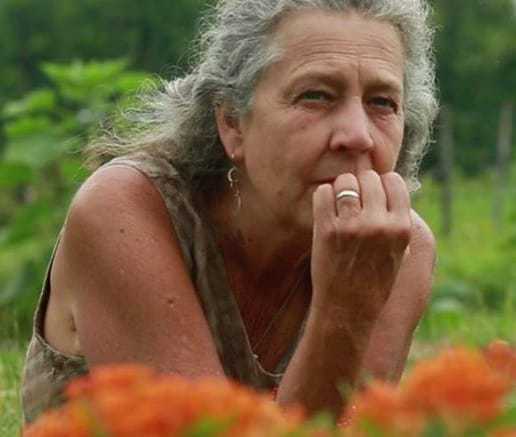 Over the last decades, Kris has studied herbal medicine with Pam Montgomery, Rosemary Gladstar, and other beloved herbalists, EMDR with Ida Wolffe and Spirit & Earth-based practices & philosophy with Rocio Alarcon, Brooke Medicine Eagle, & Tom Brown, Jr. In recent years, she's been deepening into the wonderful modalities of ProcessWork, Deep Democracy and AEDP. In addition to her practice, Kris has taught courses in Stress Management and Counseling for Health Professionals in the Department of Health Promotion at Ithaca College. For over 30 years, she has worked as a consultant in human relations with Training for Change (TFC) Associates and in earlier years, at Cornell University, focusing on issues of diversity, equity and inclusion, and social identity. Now in her 60’s, Kris is integrating all of her loves including healing in relationship to the Earth, Earth-based practices and Spirit. To this end, in 2007, she co-founded the Heartstone Center for Earth Essentials with Tammi Sweet. Since 2009, she has also been offering guided retreats, facilitated councils and ceremony at the Center. Kris is available to officiate and assist with planning weddings for all couples who choose to enter the sacredness of marriage. "The thing that aided my learning was Tammi’s enthusiasm, excitement & passion for what she was teaching." - A.C. In addition to teaching in the classroom and workshops, Tammi loves to take the adventures and learning outside onto the land. 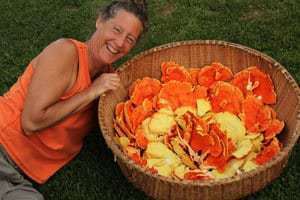 She frequently offers weed walks and garden classes on medicinal plants and garden practices at Heartstone and in other magical places out in the community.